It’s that magical time of year again! This Saturday we are whipping up a batch of the cutest holiday treats so simple to make! 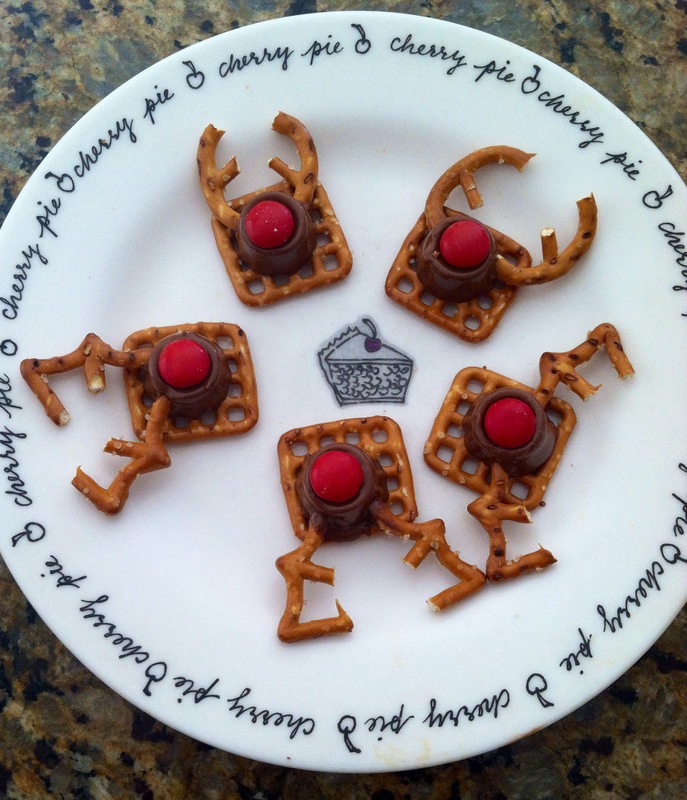 These Reindeers Treat are the perfect goody to help you through your day of tree trimming, holiday light hanging, gift wrapping, and maybe, just maybe a few reindeer games! 2. Break the regular pretzels so they look like the letter E.
3. Place cookie sheet in the oven for 2-3 minutes. Take it out and insert pretzel antlers at the same time. Then add a Red M&M for the nose.